The East India Company has struck again! Last time, they bestowed upon me some of the most flavorful pepper jelly I'd ever encountered, and now they're back with some extraordinary strawberry and pepper jam. This jam was, first of all, gorgeous to behold, with the deepest burgundy hue imaginable. Secondly, it tasted fantastic--very complex, sweet with a bit of a kick in the background. No, let's call it more of a nudge than a kick. Whatever its degree of potency, it was a joy to eat on my morning biscuit. I also tried the jam mixed with fresh strawberries as the filling to some hand pies. The kick nudge from the black pepper was diluted into a caress, but it was still there. Plus, I'm always up for some flaky, buttery crust, pretty much regardless of what's contained within it. Yes, it was an interesting and pleasing dessert, if I do say so myself. Houston, we have a cinnamon dispersal problem. The East India Company is officially two for two. In a small bowl, combine vanilla and buttermilk, stir to combine and set aside. In a large bowl, add flour, sugar, and salt and whisk to combine. Use a pastry cutter or two knives to cut the butter into the flour mixture until it resembles coarse crumbs. Add the buttermilk mixture a bit at a time and stir in until dough comes together. Transfer the dough to a floured work surface and shape into a flat disk. Wrap tightly in plastic wrap and refrigerate at least one hour. Meanwhile, make the filling by stirring together the mashed berries and jam and then folding in the remaining berries. After the dough has chilled, turn it out onto a floured work surface and divide in two; rewrap one half and place it back in fridge to stay cold. Roll the pie dough out until it reaches a thickness of about 1/8". Using round pastry cutter (or a bowl, if that happens to be all that you have...), cut out about 4-5" rounds. Place rounds onto the baking sheet and back into the fridge if necessary. If not, place about 2-3 tablespoons of the strawberry mixture into center of each round. Using a pastry brush dipped in a small amount of egg, brush the edge of half of each round. Fold dry edge onto egg-brushed half, forming semicircle shape, and press edges together with a fork to seal in an aesthetically-pleasing manner. Brush the top of each pie with the egg mixture and sprinkle with sugar and cinnamon. 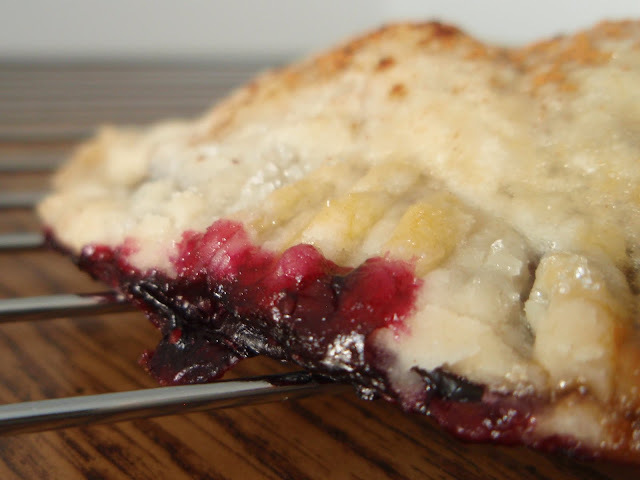 Use a small knife to make a 1 inch slit in the top of the pie for steam to escape. Repeat with remaining pastry dough. Place the pies in the oven and bake at 350F until tops are beginning to turn golden brown, about 20 minutes. Let cool on sheets for 7-10 minutes and then transfer to wire rack to cool completely. Serve warm or at room temperature, preferably smothered in vanilla ice cream. I have browsed their website in the past and dream of jams and jellies. Very creative dishes! I love any and all pies! Oh these look absolutely awesome! I am a big pie fan and these really look so delicious!! Strawberry and pepper jam? Who knew? 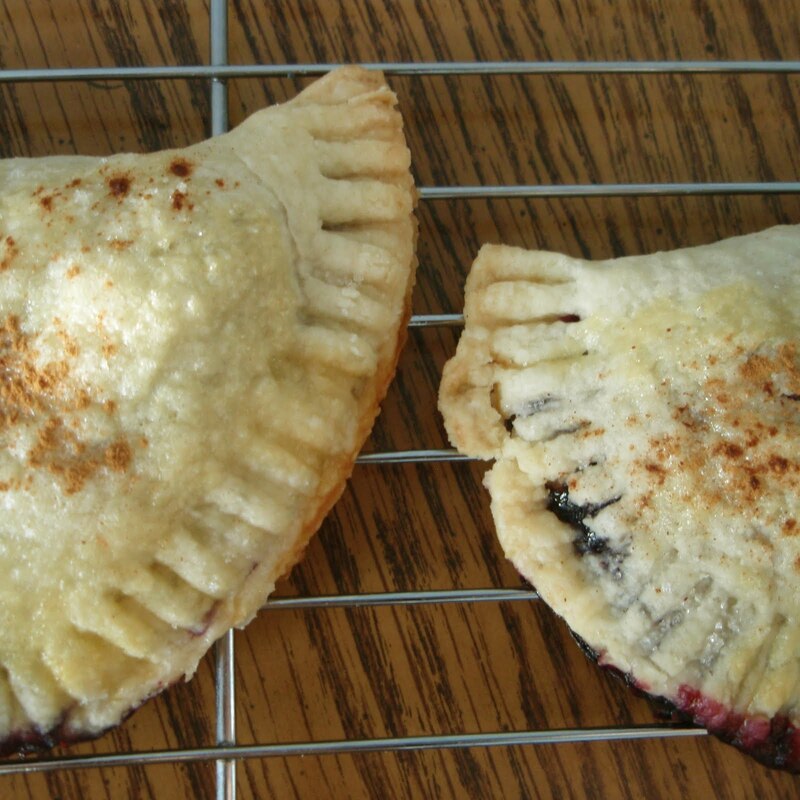 Your hand pies look divine! see i knew i liked you. spicy jam. this is just too much and i love that. Pepper jams? Astonishing. Nice hand pie you've made with it. I SOOOOOOO need that jam! Also, in the UK, a handpie is called a pasty (pronounced pah-sty). Excellent handpie! Spicy jam...I will have to get that too! Ohh yummy you have certainly given me some ideas here! I love a kick of spice in my jams! strawberry and pepper..how different yet I am curious, lovely handpies! beautiful pies! I've got to try the strawberry and pepper combination, sounds awesome. Seriously an awesome flavor combination... that crust looks absolutely divine!!! I make strawberry pepper jam at home & now I have to try it in these pies. Oh Grace... these would be very dangerous for me. I don't know if I would be able to share with anyone. YUM! I'm confessing in front of everyone: I love CRUST! And this one looks fabulous. We can fill it with whatever you like. Strawberry and pepper jam? It sure sounds delicious. Hope you are having a fantastic week Grace! Dang, that looks some good. That jam sounds fantastic! 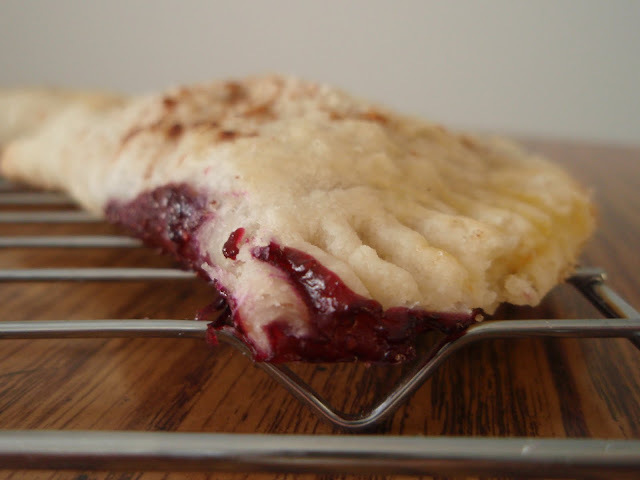 And oh wow do those hand pies look incredible...they're the perfect use for that jam! First, I love the concept of a hand pie. You can take it with you, and I'd like to take a few of these with me now. Second, strawberry pepper jam sounds delicious in them! Alright. What I need to figure out is the amount of pepper to add to a strawberry rhubarb pie filling to make it AWESOME. Hmmm.... What about adding a layer of hardened cayanne chocolate to the bottom of the pie shell? Or is that just asking for trouble? Aside from hostess (which totally doesn't count) I've never had a hand pie. Every time I seem them my stomach does a little hungry jump; I really need to make a batch! That jam sounds delicious! Hand pies are some of my favorites. The strawberry pepper jam combination sounds interesting. I'm searching for an excellent butter crust recipe and haven't had one yet that I think is outstanding. I love the addition of the buttermilk instead of water. I bet the buttermilk cuts some of the richness of the butter. I am going to give that a try. I need to get my hands on some of that jam!! I adore different jams and this one with strawberry and pepper sounds amazing, sounds like a must try! Yum, I would love a piece of that.Lovely cakes! I'd call that a jam turnover - but whatever you call it, the oozy caramelly jam bits are the best! I love your deliciously mouth-watering close up photos! These pies sound irresistible! What a nifty way to use pepper jelly/jam. You don't immediately think of using it in sweet baked goods. A great idea! Oh i so love the fun flavors of these jams! ANd the fabulous ways in which you use them.